You’ll want a room easily accessible with ventilation, enough electric circuits and close to water. You can fill a small room, 10 x 8, with twenty five or thirty plants but in my opinion, you would get a higher total yield with half as many plants. Fewer plants means they’ll get better care and greater light coverage. Read the full article here. Our soil mix is fairly basic and easy to find locally. We have more information about soil mix here. There is a lot of smoke and mirrors when it comes to nutrients for your pot plants. IMO, DynaGro’s formulations are perfect for pot. 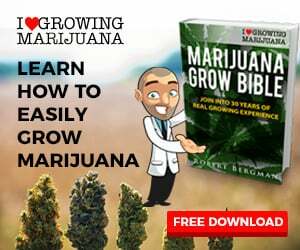 There is more information about nutrients for cannabis plants here. High intensity lights (HID) has been the norm for many years. Still many use CFL while even more are switching to LED. Read more about lights and timers here. Have you ever heard of the Gas Light Routine? It’s a lighting schedule that keeps the girls in the vegetative cycle using fewer hours of lights. The information about the GLR is here. I always love to hear you comments, suggestions and questions.